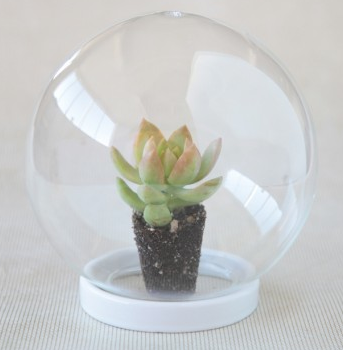 Envelop your cherished small plant in a table top bubble terrarium from Ruche. The 18.5" bubble top acts as a cloche and rests over the plant. This would be great for a wide-diameter fern!